Rotary Club, Rotaract and Interactors would like to invite you to join us for a cocktail party to benefit The Library Project. An evening of live performances, art exhibition, auction and raffles that you don’t want to miss! 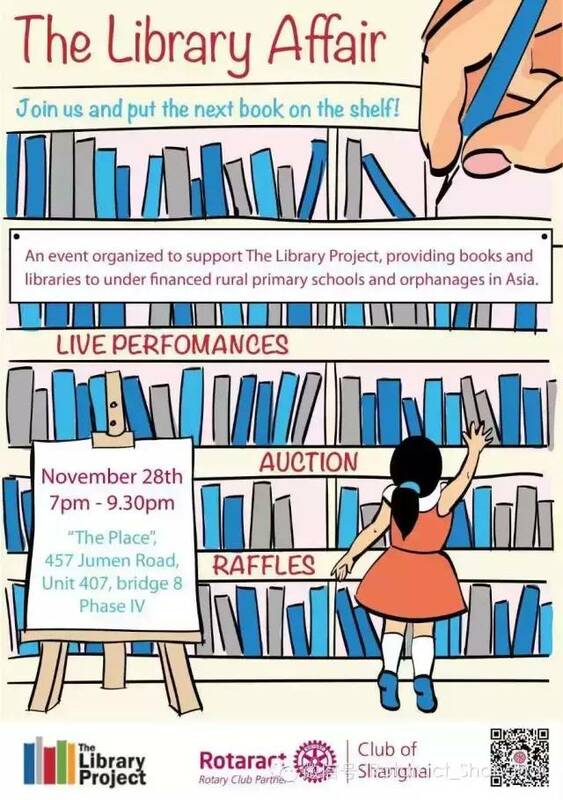 We are glad to support the Library Project in their goal to donate books and libraries to under financed rural primary schools and orphanages in Asia. All the funds collected during The Library Affair Event will be donated to the initiative. Join us and put the next book on the shelf! Surprise gifts will be available for the first 100 whobook their ticket! Hurry up! The Library Project donates books and libraries to under financed rural primary schools and orphanages in Asia. They believe education is the key motivator to breaking the cycle of poverty that exists in the developing world. As they see it, education is change. Rotaract is one of the biggest youth driven global NGOs worldwide. More than 180,000 members between the ages of 18-30 strive to make their communities in 180 countries a better place.